Item number H2.108 from the MOA: University of British Columbia. 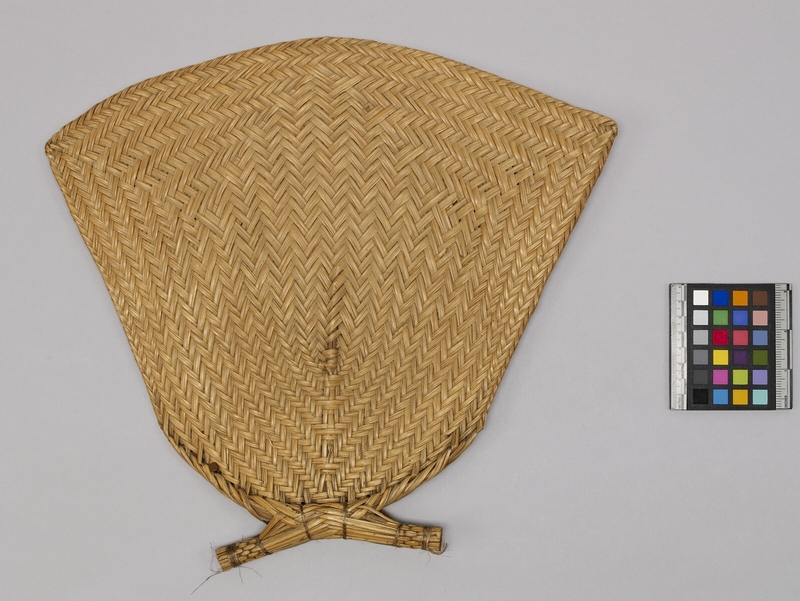 A basketry woven roughly triangular shaped fan with herring bone weave. Handle is v-shaped and wrapped with fibre at both ends. Plain natural colour. There is a nail on the front right bottom side.